Some people think that life is a school. Others think that life is a battle ground (you know … crush it, slay it, hack it, etc.) or a proving ground. Personally, I think that life is a playground, a creative canvas for our Soul’s self-expression that allows us to experience our Divinity. 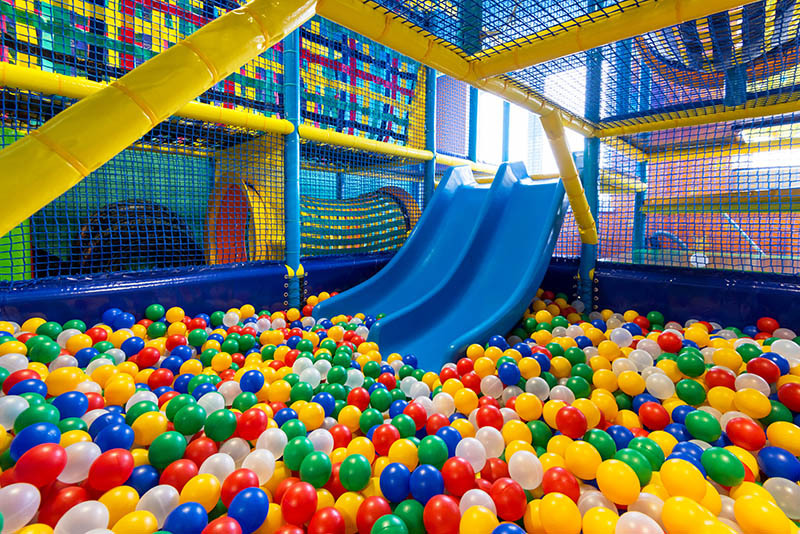 And what would a playground be without a really fun game to play? We’ve all got a favorite game … a game that is winnable but challenging, a game that requires us to tap into our Divine Gifts, a game that we can play over and over again with different people and industries and society in general. We never tire of our favorite game because it always presents us with new opportunities for growth. I’ll tell you mine … it’s rebellion. My ex-husband thinks I can’t make six figures as a psychic? Watch me! My business coach tells me I can’t make seven figures online? Watch me! My doctor says I can’t fix my thyroid levels by changing my diet? Watch me! It’s not just people … I like to disprove concepts that are generally upheld as true. For example, I decided to question the paradigm of having to “work hard” to make money. As a result, I work less than anyone I know. Now, I could judge this game of rebellion as something I “should” evolve beyond. Obviously there IS no external authority, and therefore rebellion is an unnecessary illusion. I could endlessly try to “heal” my authority issues or my need to zig when everyone else is zagging. But what the heck … this game is FUN. It has also created incredibly positive results for me, from building my business to making me healthier than I’ve ever been. Sure, every game has a negative polarity. Rebellion could be destructive. But I like to prove people and paradigms wrong by creating awesome RESULTS. After all, the proof is in the pudding. So … this game works for me. We all have a favorite game … whether it’s to impress, to rebel, to be right, to get attention, to win, to be the best … the list goes on and on. The problem is that we might judge our favorite game as being “dysfunctional.” Because our favorite game does tap into both the light AND the shadow side of our ego … that’s why it’s so satisfying! But surely, if we’re being all spiritually evolved, then playing a game such as “to impress” would mean there’s something deeply wrong with us … right? Surely we need to heal our sense of self-worth, examine how we we received love from our mommy as a toddler, rummage about in our past lives, and do some energy work? OR … we could just make sure we play the positive polarity of the game! If our game is “to impress,” we can use it as motivation to create the biggest, baddest, most impressive results in our own lives. And then, we can proudly say “Ta-dah!! !” (or, let’s be honest, a big “told you so! !”) to our older sister, or our best friend from childhood, or those big industry experts or whoever our ego really wants to impress. And we’ll have won that round of the game! Then we’ll look for someone new to impress. It’s okay if this need to impress isn’t pretty. Because, at the end of the day, we will have served and uplifted others in the process of winning our game … because there IS no other way to create amazing results. Oh, and we’ll also have FUN! The negative polarity of this game “to impress,” of course, would be to spend all of our time on Facebook, making our lives look terribly glamorous and successful while we’re secretly broke and desperate. The negative polarity of our game doesn’t create results, and never truly satisfies us. We always lose the game when we play its negative polarity. If you’ve been losing your game and haven’t been creating results … it’s not that there’s anything wrong with the game you are playing. You probably don’t need to undergo a huge transformational hero’s journey or deep healing. Perhaps all you have to do is stop making yourself wrong for the love of the game … and then flip into its positive polarity. What results would you have to create in order to “win” the next round of your game? If you’ve been on a losing streak, you may have to start small. You may have to pick a “win” that is satisfying but attainable within the next few months. One small win will fuel you further to play the game at the next level. Believe me, the shadow side of your ego is not in the game for “the experience.” The shadow side of your ego wants to WIN. And without the shadow side of your ego in the game, you’re just not going to be motivated. But most importantly … don’t judge the game itself. It’s your abundance game for a reason. Your game connects you to your Divine Gifts, through both the light and shadow side of your ego. Your game is actually deeply sacred. Just play it … and play to win! You are, after all, on a playground … and you get to make it your own! Always love your point of view! It’s like a great spring house cleaning! Andreea, I agree. I played lots of games. Sometimes I win and sometimes I lose. Oh – thank you! Perfect timing! Wow, what a different way to look at life. I’m going to figure out my game and focus on the positive rather than trying to change the negative. Thanks for the flip side. Great way to explain it. Thank you for this post, Andrrea! It arrived just as I’m reading “Your Secret Self…”, a book about the 12th astrological house and integrating our shadow aspects – those parts of ourselves we judge, reject, ignore, etc. In the past, I remember feeling absolute delight at being right, and then cringing at that the thought that I found joy in proving someone else wrong. Clearly, I was working the negative polarity. I wonder what winning the game of “being right” looks like for me. Stacie … how about just feeling the joy?? I LOVE proving existing paradigms as wrong. Feeling joy about proving something or someone wrong is not the negative polarity … especially if it helps you create the reality you want for yourself. The negative polarity would be endlessly arguing with someone about how they are wrong, trying to “win” intellectually, getting into a verbal battle, pointing out their flaws publicly, etc. That’s a game that can’t be won. Love your point of view Andrrea. My shadow side is to prove my family wrong that I shouldn’t be doing this silly stuff, which has no medical proof that it works. Ooooh, that could be a LOT of fun! Gosh I love your articles! I want to play! Like you I love to create results that people or myself thought impossible, but I got tired of it. Now I’m realizing that the results I was trying to get were not fun anymore to prove. I know what my next goal is and it’s going to be so much fun! Thank you! I felt so energised reading your post . It makes so much sense. Since I was 11 years old, family would criticise me for wanting ” to be right”. Tania’s way or the wrong way… I’ve been hearing for 30 years. Even my husband jokingly tells me.And I see now how each time I have made myself wrong when I felt inner pleasure each time I proved someone wrong but kept it to myself les I be seen as ” unspiritual”. It’s time for me to take the positive polarity of ” being right and rebellion game” for a spin. Whooo hooo!! Thank you Andrrea. Divine timing on this Solar eclipse weekend. Mmmmm yes it does taste yum…… experiencing the JOY of me….. oh wow, I see now that it pissed people off that I was living my life on my terms…. oh wow…..loving my new awarenesses your article has awakened. That’s awesome, Tania!! Yes, positive rebelliousness isn’t always well received … and that’s okay. That’s why it has to be FUN and enjoyable for us. Because no matter what game we play, we’re always going to piss someone off if we play it well, lol. Here’s to playing to WIN! As always Thanks for sharing! Love this article and the energy you have put into writing it, I felt it when I was absorbing your words of wisdom. I have been writing about this over the weekend and so, it is almost like a Universal nudge to say, ‘You are on the right track’ when I opened up my emails this Sunday morning in Australia and found your post. aaahhh was just thinking about the GAME today…I was just thinking this morning about how my boss gives me things to do that would be considered to some impossible to accomplish. This is kind of game to me because I know anything is possible. I love being able to accomplish things that would make others stress out. I love it. They see me smiling the crazier it gets. I love the look of surprise or the “Wow, you are a rockstar”. My boss has acknowledged that I am able to handle whatever he throws my way with ease and grace. This makes me feels like a superstar. I just need to continually uplevel that otherwise I get bored and moved on. hmmm…Or maybe there is nothing WRONG with that. I just want another new experience. It’s about whatever motivates you and what is fun for you and not judging whatever THAT is. I LOVE this!! Owning the light and the dark within in a positive and constructive way! Awesomely inspirational words as always, Andrrea! This is so timely! I’ve been paying attention to the stuff that comes up in me when I’m “not on my game” and am just saying, “And I love that!” I think it is creating a transformation! LOVE this concept, Andrrea! You have such an incredible way of looking at things that really gets me thinking! This reminds me of how one of MY games – seeing the truth of what’s not going right and needs to be fixed got me in all kinds of trouble in the Corporate world and now has made me over a million dollars in the coaching world! Thank you for sharing your unique and brilliant perspective here! Hell to the yes! Thank you for all of this and your course. Let the games BEGIN!